With a print speed of 45 receipts per minute (250mm/sec), the TSP743II is the best single station printer you can expect. The TSP743II now features a double resolution mode to increase sharpness to any graphic! Eye catching graphics for company logos and/or coupons are a print away. It's improved and sleeker design features a new top cover which extends to the edge of the printer making it more difficult for dust and liquids to penetrate and harm the printer. In addition to the extended cover, sound and vibration dampening channels within the printer help reduce printing noise and also add an extra layer of protection from moisture or dust when used in harsher environments. 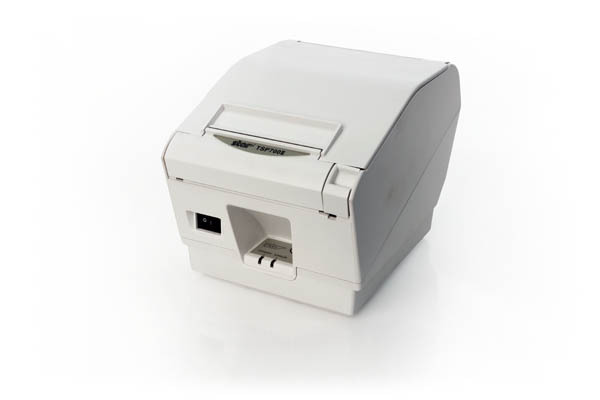 The TSP743II is ideal for high-volume retail establishments like lottery, grocery stores, healthcare, banking, and restaurants. 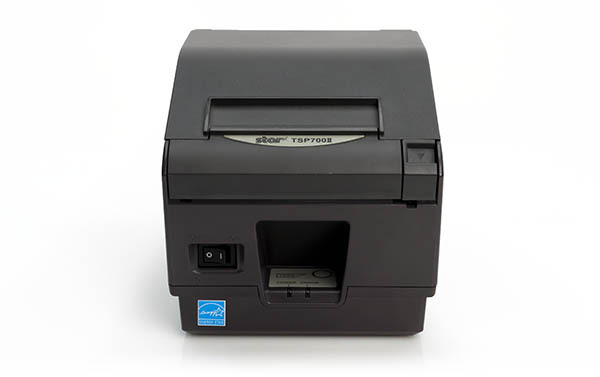 With high print speed, high reliability, black mark label support and vertical mounting support; Star’s TSP743II WebPRNT and TSP743II BTi Label are ideal for servicing label printing in a variety of applications ranging from date labels on prepared foods at a local deli to price labels in a retail boutique. Both TSP743II WebPRNT and TSP743II BTi Label support 2D barcodes, PD417 and QR codes. With WebPRNT technology, the TSP743II WebPRNT makes label printing from a web-based application fast and easy. 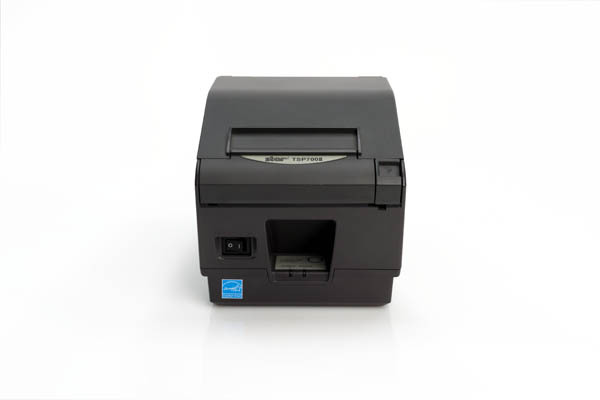 In addition, TSP743II BTi Label includes the ability to print receipts or data from a web browser-based application running on a mobile device wirelessly by configuring Star's WebPRNT Browser. Once configured, the user simply pairs their mobile device to the TSP743II BTi Label, open the application on WebPRNT Browser and prints from the application. 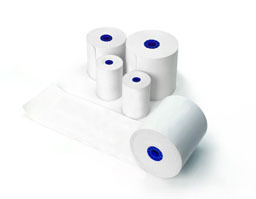 For dedicated wireless label printing, Star's TSP743II BTi Label is Apple MFi certified to support all iDevices such as iPad®, iPhone®, iPod Touch® in addition to Android and Windows devices. The TSP743II also supports Star's cloudPRNT communication protocol that sends print jobs directly to the printer through the cloud. 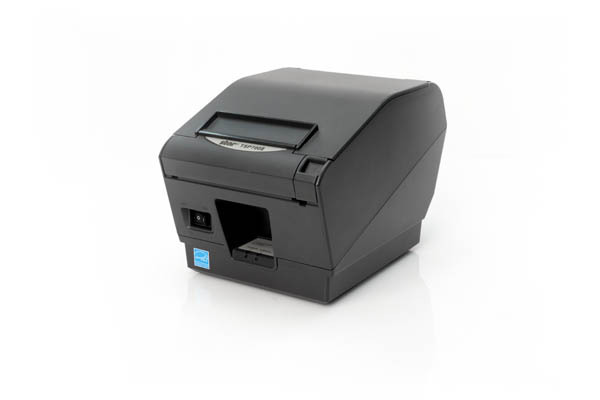 Star's TSP743IIcloudPRNT is ideal for servicing label printing for online orderings ranging from labels on take-out or delivery food orders, to labels that will be added to an online retail order. 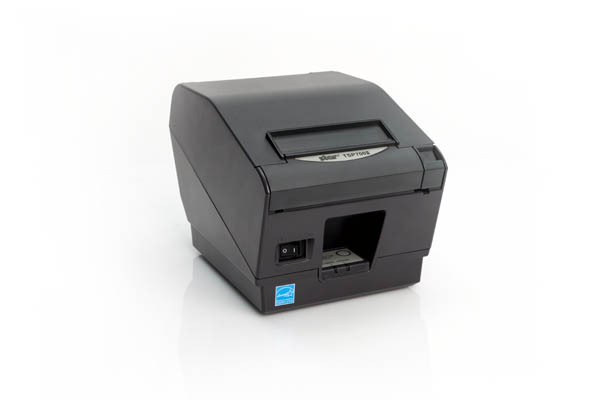 The TSP743IIcloudPRNT supports 2D barcodes, and has a rugged design, making it more difficult for dist or liquids to penetrate and harm the printer. Star also offers a three year limited warranty on the TSP743II printer. Easy - Load "Drop-In & Print"
Partial futurePRNT Receipt Redesign Software Quickly and easily add logos and coupons for professional receipt branding, Reverse Text for vertical orientation, and more! Ethernet Interface Set Up Utility Setting up and configuring an ethernet printer has never been more quick and easy! 37966870 Thermal 2 YR Swap-A-Star Adds next business day replacement to standard two (2) year warranty. Valid in US & CA only. See terms & conditions for details. 37966880 Thermal 3 YR Extend-A-Star Extends standard warranty to total of three (3) years. Valid in US / CA / MX / ROLA. See terms & conditions for details.